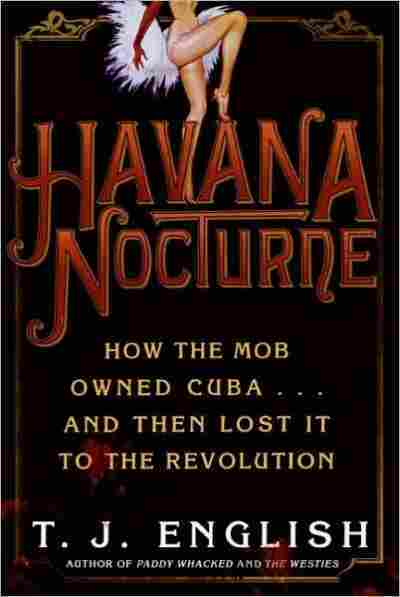 Havana Nocturne NPR coverage of Havana Nocturne: How the Mob Owned Cuba and Then Lost It to the Revolution by T. J. English. News, author interviews, critics' picks and more. When Charles Luciano of Naples, Italy, boarded a huge freighter in the autumn of 1946 and headed out to sea, he had many things on his mind but only one thing that mattered: Cuba. The Pearl of the Antilles was to be his salvation, the place where he would ascend once again to the top of the most powerful crime organization in the free world. After a long decade of prison and exile, he deserved nothing less. Having been deported from the United States just seven months earlier, Luciano did not want to tempt the fates: his journey from Italy to Cuba was to be a secret known only to his closest criminal associates. Using an Italian passport and traveling under his birth name-Salvatore Lucania-he set out on a journey that would take nearly two weeks. The freighter that left Naples in mid-October reached port first in Caracas, Venezuela. Luciano remained there for a few days and then flew to Rio de Janeiro, where he stayed for a few more days. After he was certain that he was not under any kind of surveillance, Luciano flew on to Mexico City and then back to Caracas, where he chartered a private plane for the last leg of his trip-to Cuba. He landed at the airport in Camagüey, in the interior of the island, on the morning of October 29. Arrangements had been made for the famous mobster to deplane on the far side of the airport. When he stepped out of the plane, Luciano encountered a Cuban government official. The first words out of his mouth to the official were "Where's Meyer?" Luciano didn't have to wait long to see the familiar, taciturn grin of his childhood friend and longtime criminal associate. A car arrived from across the tarmac and stopped near Luciano's private plane. Out stepped Meyer Lansky. Luciano and Lansky hadn't seen one another in months. Lansky, age forty-four, was trim and tanned, as usual. His 5-foot-4-inch stature had earned him the nickname "Little Man." It was meant ironically: in his chosen profession as an underworld entrepreneur who specialized in gambling, Lansky was anything but little. Luciano knew this to be true because he had partnered with Lansky on many of his most ambitious schemes. Luciano was taller than Meyer, with a classic Sicilian mug that would forever be described in the press as "swarthy." At age fifty, his black hair had begun to gray at the temples and his many years in prison had softened his physique. Luciano spent nearly his entire forties behind bars, and much of the youthful swagger that had characterized his rise to power in New York City had now been tempered by the monotony and humiliation of prison life. "Lucky," as Luciano was sometimes known, was looking to get his mojo back, to reassert his power and rediscover his inner gangster. Cuba would be the place. With Lansky at his side, the famous mafioso passed through Cuban customs in record time. Lansky was a big shot on the island, a friend of government officials going all the way to the top. It was Lansky who one month earlier had sent a cryptic note to Luciano in Italy that read: "December-Hotel Nacional." Luciano knew what it meant. He and Lansky's plans for Cuba went back decades. Accompanied by a bodyguard and driver, the two men drove to the nearby Grand Hotel, the most renowned dining establishment in the country's interior. From the hotel's café terrace, they could see the entire city of Camagüey, with its winding streets, bell towers, and terra-cotta rooftops. The lunch was lavish and accompanied by sweet Santiago rum. Afterward, Luciano and Lansky continued on toward the capital city of Havana. The celebratory lunch and two-hour drive across the island would have been a time of nostalgia and expectation for these two men raised on the Lower East Side of Manhattan island. That they were sitting in a car driving freely through Cuba was the result of a fantastical turn of events. Just seven months earlier, with Luciano buried away in Dannemora Prison and later Great Meadow Correctional Facility-or Comstock, as the prison in upstate New York was commonly known-life had looked bleak. Luciano was nine years into a thirty- to fifty-year prison sentence. There was seemingly no possibility that he would be seeing the light of day beyond prison walls anytime soon. The manner by which Luciano and Lansky had finagled his early release was still largely unknown to the general public. Upon the commutation of Luciano's sentence and his deportation to Sicily, newspapers around the world alluded to a "secret relationship" between Luciano and U.S. naval intelligence during the Second World War. It was alleged that from inside his prison cell Luciano had helped the war effort, a claim that was given credence by New York governor Thomas E. Dewey, who recommended that Luciano's sentence be commuted and he be released. Dewey was the same man who, as special prosecutor, had put Luciano away on compulsory prostitution charges in the first place. "Lucky Luciano Walks," read the headline in the New York Daily Mirror on the day the Mob boss was released. Other newspapers touted the event with headlines of a size usually reserved for wars and elections. Precious little was revealed about the details of Luciano's cooperation with the navy. The facts of his "deal" were still highly classified. The average citizen of the world was left with the impression that some nefarious relationship existed between the underworld and the government-in this case, the U.S. military. The fact that Luciano was immediately deported from the United States to Lercara Friddi, Sicily-the town of his birth-did not change the fact that he was a free man, somehow above the law. Not surprisingly, Luciano had a different view. He was irate that he had been deported to Sicily. His only consolation was that he had no intention of staying put in Italy. From the moment he was exiled, it had been his aim somehow to return to the United States via Cuba.